Thank you so much for our visit last week. I have attached a picture collage of the day as they all look so happy. Thank you so much for your visit to Castle Carrock. The children learned so much and really enjoyed it. 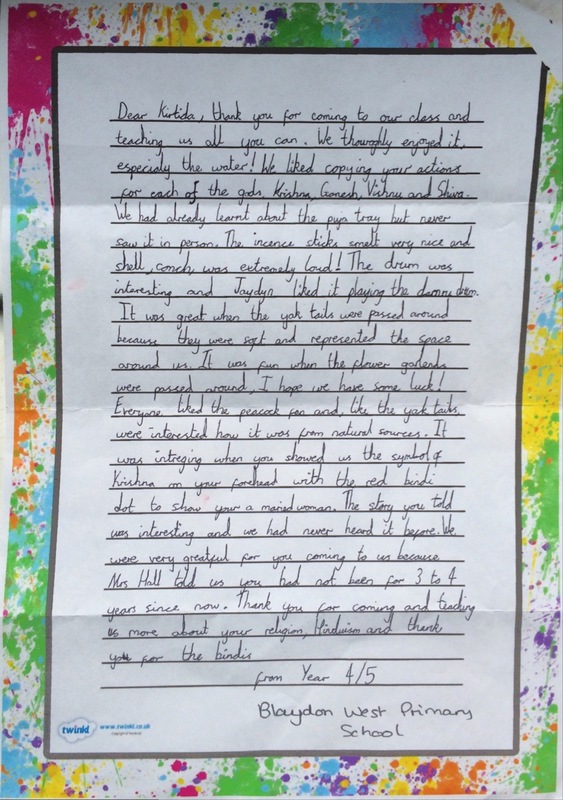 Just a note to say thank you very much for visiting us at school last week. 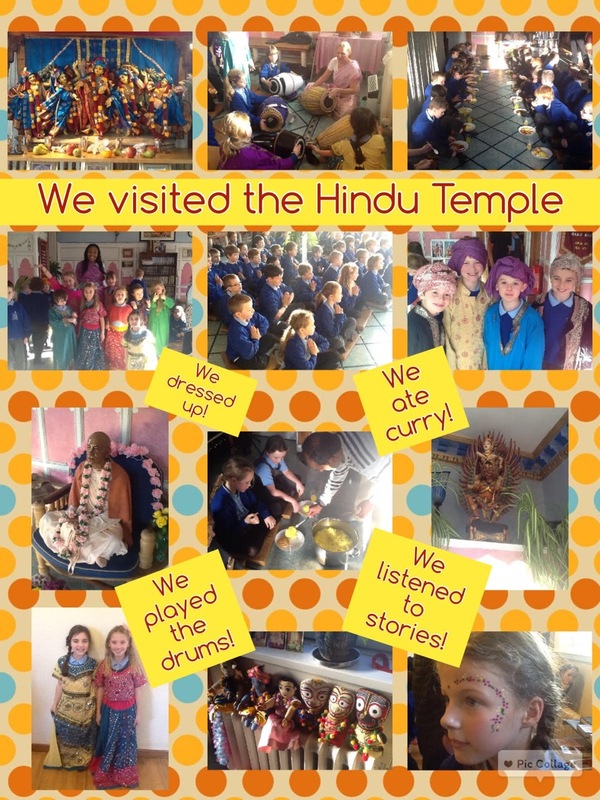 The workshop sessions were enjoyed by children and staff and will help us as we explore Hindu beliefs and the impact on way of life during the rest of this term. As I mentioned, we work on a two year rolling programme at WJS so I look forward to contacting you, probably in July 2017, to arrange our next visit to the temple in the Autumn term of that year! Discussions on Vedic (Hindu) culture and Philosophy, with artefacts, anecdotal stories and audience participation. Topics include: animals, art, buildings, customs, dress, food, holy men, music, religious beliefs, and rituals, weather. Question and answer sessions included. 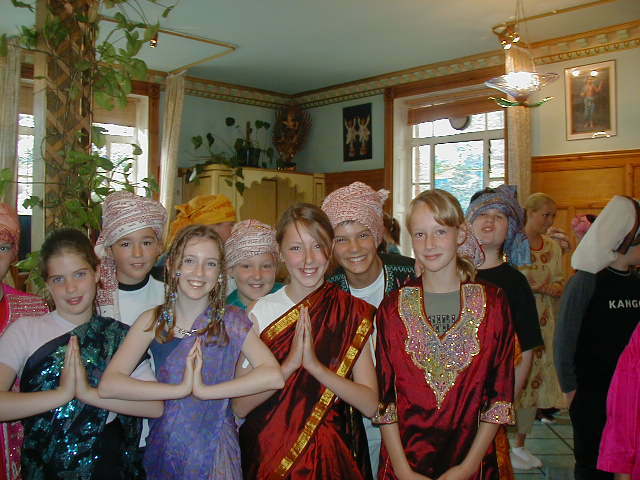 Dressing up in Indian costume and face painting. Demonstration of the traditional arati ceremony worship as practiced by Hindus. Playing of Indian musical instruments. Workshops: e.g. making garlands and lamps for the shrine, mock weddings. A Story. Tales from Ramayana, Mahabharata, Panca-Tantra etc. Basic morality might be included (e.g., why we should not tell lies). 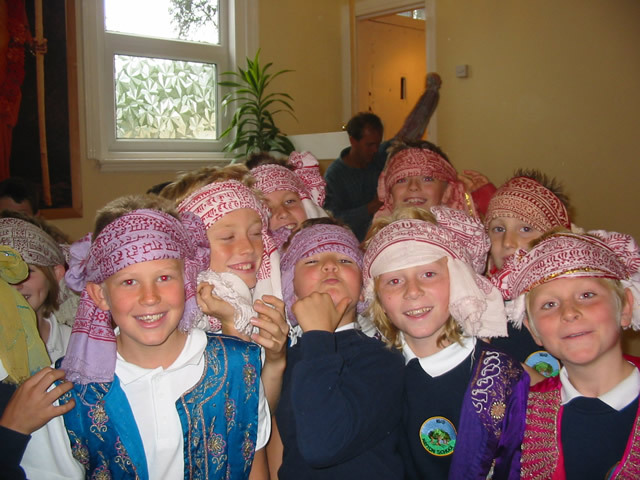 Children can be involved in dressing up, role-play etc. ISKCON Educational Services aims to both support your teaching and maintain our own work in religious, moral & multicultural education. In certain circumstances we can make concessions, e.g when the RE budget is very low or when we are visiting a distant school and the travel expenses are unusually high. Please feel free to discuss these matters with us. Or by public transport: refund of tickets etc. Please make all cheques payable to ISKCON. We offer one month for settling payment, but prefer to do so on the day.